After two days of nada in our crab pots, we broke down and stopped off at the roadside fresh seafood merchant on Whidbey Island. We bought a single crab for $20 and returned to check on our crabs. Still, only one single small crab, and a female to boot. We threw the crab back, put in a piece of old smoked salmon and left the pots overnight. As I lay in bed, I thought to myself, surely the crab gods will smile on us now that we have bought a crab and rightfully returned a female to sea. This morning we cruised out to our pots to find lightning had struck and given to us 7 dungeness crabs, all keepers. Score! This may not seem like anything special given what we've been hearing from folks on the prolific crab season they've been having, but this is not true of our particular bay. So, there were high fives and celebratory hugs all around. I spent a good two hours cooking and shelling the crab... a labor of love. 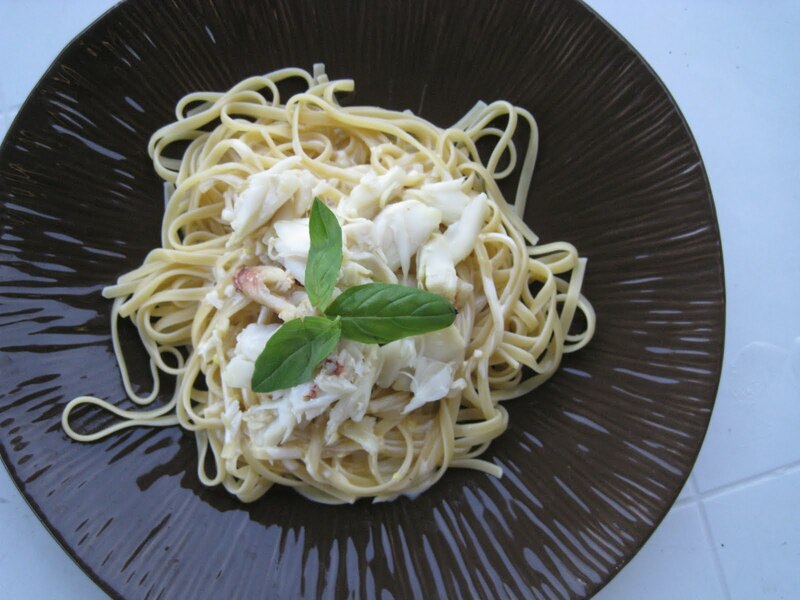 I will bring the bulk of it back home to Seattle tomorrow for something else, but tonight, just a simple crab linguini. Saute one garlic clove in a 2 tbsp melted butter until softened. Add one cup of heavy cream, a pinch of sugar, a shot of vodka and bring to a boil. Reduce to a thickness so that the sauce will coat the back of a spoon. Using a microplane, zest a lemon into the sauce. Salt and pepper to taste. Cook Linguini according to package instructions. Ladle on a bit of sauce and top with fresh crab.